This article first appeared in City & Country, The Edge Malaysia Weekly, on February 4, 2019 - February 10, 2019. Seksyen 17 comprises mainly landed residential properties. Russo: Property values in the area have appreciated significantly over the years despite the soft market. Lim: There over 30 transactions of landed properties in Seksyen 17 last year. Tang: Seksyen 17 will remain a popular area to live in due to its convenient location and close proximity to urban amenities. Tiara Damansara (left) and Astana Damansara apartments are located near the MRT station. Seksyen 17 in Petaling Jaya has many elements of a good residential neighbourhood with a variety of freehold property choices to live in or to to rent out. There are many ways to get around by car and public transport, easy access to shops and services, and plenty of good food, which the area has been known for over the years. The property market for the mature residential neighbourhood is established and stable, and mainly comprises 1 and 2-storey link houses, pockets of 2-storey semidees and bungalows, several blocks of walk-up medium-rise flats, apartments and condominiums, and a few clusters of 2-storey shoplots. Demand comes from owner-occupiers and tenants. Zerin Properties head of residential Dino Russo notes that property values in the area have appreciated significantly over the years despite the soft market. “This is mainly because it is a mature freehold neighbourhood, almost 90% of which comprises residential properties, in a strategic location with limited land for new developments,” he says. Improved accessibility and connectivity over the years has contributed to surging property prices in the area, he notes. “Moreover, the demand for properties has grown immensely with the growing number of tertiary education institutions, which has drawn families to live there,” he adds. According to Hartamas Real Estate group managing director Eric Lim, there were over 30 transactions of landed properties in Seksyen 17 last year, “which is not bad for an area that is less than 1.5 sq km”. He says that generally, the demand in Seksyen 17 has always been healthy. Due to limited land available, there was no major development in the area except for Seventeen Mall & Residences (previously known as Biji Living) by the Conlay Group. Property experts believe Seventeen, which was completed early this year, will be the last major project in the area. The RM300 million freehold development sits on the site of the post-war Sentosa Cinema, which was closed down decades ago. Subsequently, the site was turned into a parking lot and was used by morning and night market traders to operate their businesses. Seventeen offers 425 apartments ranging from 550 to 1,095 sq ft, in studio, 1-bedroom and 3-bedroom layouts, with prices starting at RM447,000 or RM800 psf. The development also comprises a 2-storey neighbourhood mall, which has Aeon MaxValu Prime as the anchor tenant. The market traders who operated on the site have moved into the new market space on the west side of the development, which comes with a modern refuse system, triple-volume ceiling height for ventilation, covered drainage and properly sectioned stalls. While Seksyen 17 may not see any more major developments in future, the landscape of neighbouring areas is changing swiftly. “There are no new catalysts to stimulate rapid capital appreciation in Seksyen 17 due to limited available land. 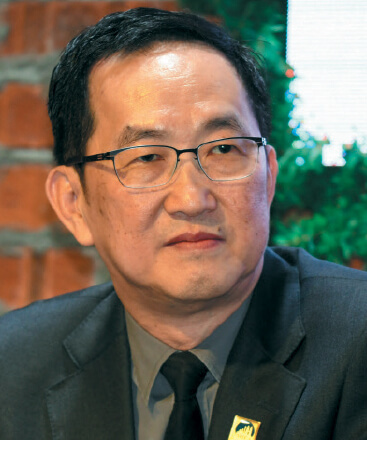 Nonetheless, new developments in neighbouring SS2 and Seksyen 13 may help lift property values in the area,” says Henry Butcher Malaysia COO Tang Chee Meng. Seksyen 13 is seeing more than a few major developments, all of which are leasehold, including AtWater, an integrated development by Paramount Property; Ryan & Miho, a residential development by OSK Property; PJ Midtown, an integrated development by IOI Properties Bhd and Sime Darby Brunsfield; Pacific Star, a mixed-use development by Jaks Island Circle Sdn Bhd; Centrestage, a mixed-use development by Cherish Springs Sdn Bhd, and Avenue D’Vogue condominium by One Inspiration Development Sdn Bhd. The residential neighbourhood’s strategic location is likely to remain appealing. “Seksyen 17 will remain a popular area to live in due to its convenient location and close proximity to urban amenities,” says Tang. It enjoys easy access to highways such as SPRINT, the Federal Highway and Lebuhraya Damansara-Puchong. It is also a short drive to the established neighbourhoods of Taman Tun Dr Ismail, Bangsar and Seapark, and close to commercial areas in SS2, Seksyen 13, Seksyen 16 and Seksyen 19. The area is serviced by buses, taxis as well as the MRT, with the nearest station at Phileo Damansara. Other amenities in the vicinity include schools (SK Sri Damai, SJKC Chung Hwa and SMK Sultan Abdul Samad), tertiary educational institutions (Universiti Malaya and Mahsa Prima International College), hospitals (Columbia Asia Hospital, UM Medical Centre and Assunta Hospital), and shopping malls (Plaza 33, Jaya One, Jaya Shopping Centre, Centrestage and 3 Damansara (the former Tropicana City Mall). Meanwhile, property consultants think the traffic and road connectivity in Seksyen 17 can be improved. “Traffic tends to be horrendous during peak hours,” Russo remarks. “There are currently a lot of potholes and uneven roads,” says Tang. He believes the area requires more community guards and police patrols to deter crime and improve general security. Meanwhile, Lim hopes more feeder buses to the MRT station can be provided to improve connectivity. The residential market in Seksyen 17 is unlikely to see any drastic growth. However, property values, especially of landed properties, are likely to hold up well given their limited supply, says Russo. “Landed properties in the area are quite popular among homebuyers due to its proximity to KL city. Besides, it is a freehold housing estate. The scarcity of land makes it attractive for one’s own occupation as well as for investment. In general, the demand and values of landed properties in Seksyen 17 have remained fairly stable,” he says. Bungalow prices range from RM1.5 million to RM3.3 million, based on transactions from 2017 to 1Q2018. The bungalows generally have land areas of 4,000 to 11,000 sq ft, with built-ups of 1,200 to 5,000 sq ft.
Semidees, with built-ups of 1,200 to 3,000 sq ft, fetched RM1.65 million to RM3.1 million, based on transactions from 2016 to 2017. Terraced houses, with built-ups of 850 to 2,100 sq ft, were sold at RM550,000 to RM1.25 million, based on transactions from 2017 to 1Q2018, says Russo. According to Henry Butcher’s Tang, prices of 1 and 2-storey terraced houses grew at an average of 4.25% and 3.5% per annum respectively over the past five years. Over the same period, prices of 2-storey semidees grew at an average of 3% per annum. As for bungalows, Tang notes that transacted prices ranged between RM900,000 and RM1.5 million in 2013, and between RM1.7 million and RM2.9 million in 2016 and 2017, depending on the land sizes and built-ups. In the non-landed residential segment, units at Astana Damansara with built-ups of 1,149.96 sq ft and 1,722.22 sq ft were transacted at RM530,000 and RM835,000 in 2017 respectively, notes Tang. In 2013, units with built-ups of 1,419.95 sq ft and 1,722.22 sq ft were transacted at RM508,000 and RM650,000 in 2013 respectively. Over at Tiara Damansara, units with built-ups of 1,119.45 and 1,313.20 sq ft were transacted at RM550,000 and RM715,000 in 2017 respectively. In 2012, units with the same built-ups at the development were sold for RM500,000 and RM535,000 respectively, according to Tang. Both Astana Damansara and Tiara Damansara are located near the Phileo Damansara MRT station. 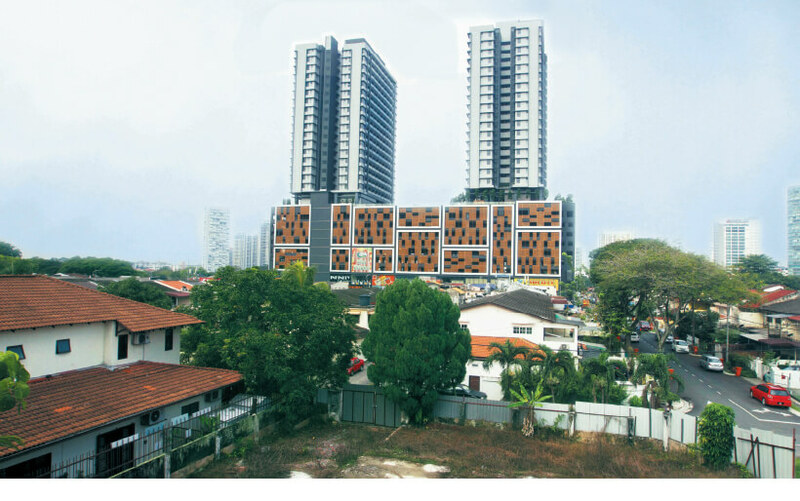 Landed and non-landed residential properties in Seksyen 17 are expected to remain popular in the rental market due to their limited supply, strategic yet peaceful location, and abundant amenities such as food stalls, restaurants and launderettes. The majority of tenants are mid to high-income local families, with a handful of students and young working adults subletting rooms. Rooms for letting out still enjoy good demand, says Tang. “The area is close to institutions of higher learning and employment centres. Single working adults and students cannot afford to rent an entire house. “Nevertheless, the student population in Seksyen 17 has decreased and the market is leaning towards the working crowd and rental of houses. Rents have been stable in the area,” Tang says. In terms of yield, he notes that terraced houses give returns of 2% and 3% per annum, and condos, 3% and 4%. Compared with non-landed options, Lim opines that landed properties in the area are preferred and enjoy higher demand. 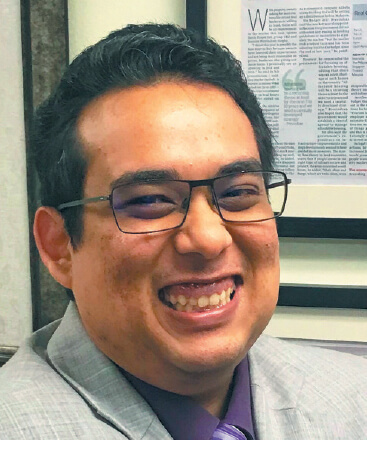 “There are not many non-landed residential properties in the area … and renting [landed properties] incurs very little cost compared to buying,” says Lim. He notes that semidees and bungalows can fetch rent of RM3,000 to RM6,000, and intermediate link houses, around RM2,000 and below. Rents for apartments in the area hover around RM1,500 and below. 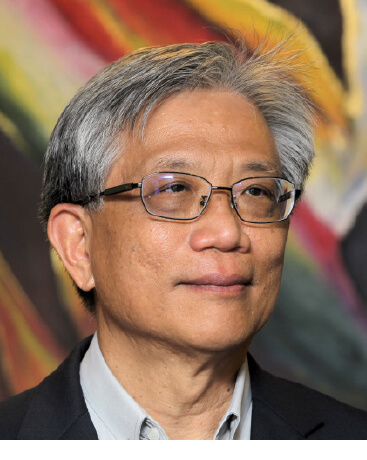 “Generally, non-landed properties give better yields while landed ones offer better capital appreciation,” says Lim. While there may be a stronger rental demand for landed properties currently, Tang says there is a possibility that this could shift in the future to condos with new developments in the market such as Seventeen. “The more secured environment of a condominium plus the availability of recreational amenities provide an edge over older landed houses,” he says. The current rental market in Seksyen 17 caters for the working crowd as there are fewer students since UTAR College and KDU College moved from neighbouring Seksyen 13, Tang observes. According to Russo, Happy Apartment and Happy Mansion are some of the best-yielding properties in the area, with yields of 3% to 4%. From local hawker favourites to international cuisine, food outlets are plentiful in Seksyen 17, which has several clusters of commercial areas. In terms of value, Lim says, in general, shops in the are have appreciated to RM600 psf from around RM400 psf five years ago. The main commercial square at Jalan 17/27 and Jalan 17/29, also known as the Sentosa Market area and where Seventeen Mall & Residence is located, is usually chock-a-block with traffic and pedestrians. The area has several hawker centres, local businesses, services and sundry shops. Henry Butcher’s Tang notes that first-floor shops at the Sentosa Market area, with built-ups of 1,870 to 2,250 sq ft, can fetch about RM2,500 per month in rent. Meanwhile, ground-floor shops at the three-block Happy Mansion development in Jalan 17/13 offer plenty of F&B options, including Kwong Wah Ice Kacang, Butter + Beans café, Frame Thai, Xiao by Crustz pattiserie, Elsie’s Kitchen by WanEli, Good Blue Men, Food Foundry, MyElephant, Ban Huat Heng coffee shop and Choon Yien restaurant. Tang says the ground-floor shops at Happy Mansion have very few transacted prices. A 2,325 sq ft built-up unit there was transacted recently for RM1.3 million. “The commercial units at Happy Mansion are rarely put on the market as most are occupied by popular eateries that have been around for years. In general, the ground-floor shops fetch about RM6,000 to RM9,000 a month,” says Russo. Other commercial areas in Seksyen 17 are in Jalan 17/45 (with popular eateries such as Kanna Curry House and Strangers at 47), Jalan 17/10 (Grub by Ahong & Friends and Tujoh Café), and Jalan 17/54 (Bistro à Table, Uroko Japanese cuisine and Don’s Diner). According to Lim, an intermediate 25ft by 75ft ground-floor unit in Jalan 17/45 is asking for RM5,000 to RM6,000 per month in rent. In Jalan 17/8 (near Jalan 17/10), a 2-storey corner shoplot, measuring 43ft by 75ft and with a built-up of 3,225 sq ft, can fetch RM9,800 per month, notes Tang. Recent transactions include a 2-storey shop in Jalan 17/27 for RM1.85 million in 2017; a 3-storey shop in Jalan 17/45 for RM2.95 million in 2016; a 2-storey shop in Jalan 17/27 at RM1.2 million in 2015; and a 2-storey shop in Jalan 17/10 at RM1.6 million in 2015, according to Tang. Meanwhile, more commercial premises could be coming up in neighbouring Seksyen 13 as mature industrial properties are redeveloped.